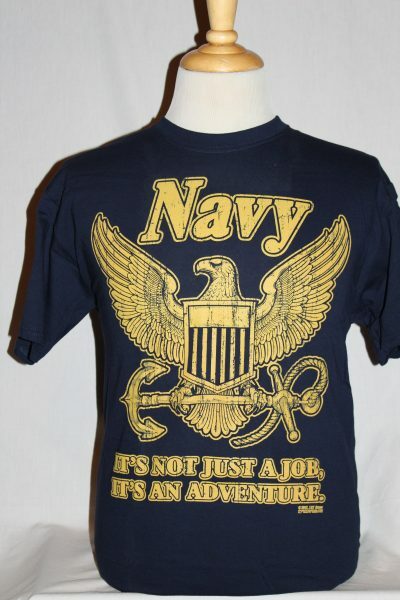 The USN RETRO T-Shirt is a double sided print in blue. Front Design: Navy symbol with text in the color yellow. 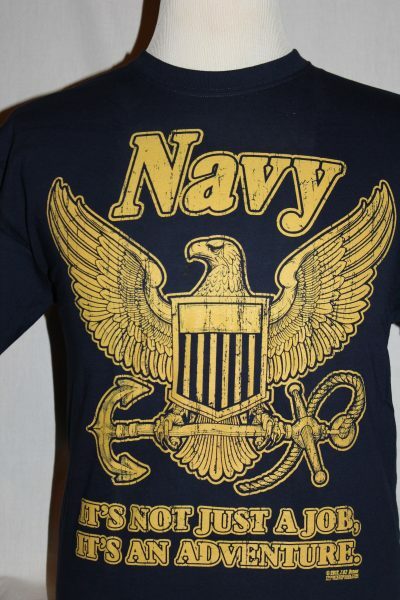 Back Design: American Eagle on upper back.